Professor Gregory is a graduate of the University of Melbourne and the London School of Economics and Political Science. He is currently Professor of Economics at the Research School of Social Sciences in the Australian National University, Canberra. Professor Gregory has been closely involved in Australian economic policy development. He was a member of the Board of Management at the Australian Institute of Family Studies. Through 1990 to 1993 he was principal consultant in a series of Aged Care Reviews for the Department of Community Services and Health. In 1998, he was a member of the committee that recommended the introduction of student income contingent loans, collected by the Tax Office. The scheme has been adopted by a number of other countries in addition to Australia. He was a member of the Committee on Employment Opportunities which prepared a Discussion Paper that acted as a precursor to the Government's 1994 Working Nation. He was also a member of the Board of the Reserve Bank of Australia from 1985 - 1995. From 1986 - 1991 he was a member of the Australian Sciences and Technology Council. 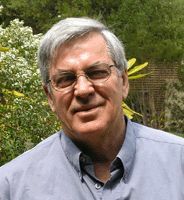 Professor Gregory is an elected fellow of the Academy of Social Sciences (1979). In 1996 he was awarded the Order of Australia Medal. He has been President of the Economic Society of Australia and has been awarded the Economic Society Medal. Professor Gregory has held positions at the London School of Economics, Industries Assistance Commission, Northwester University, and the Federal Reserve Board, Washington. In 1983 -1984 was Professor of Australian Studies at Harvard University. He was Visiting Professor at the Graduate School of Business, University of Chicago in 1994. Professor Gregory joined CReAM as an external fellow in June 2007.